Isn’t spring the most magical of all the seasons? I’m always amazed at how desolation rejuvenates into lush greens and vibrant colors! 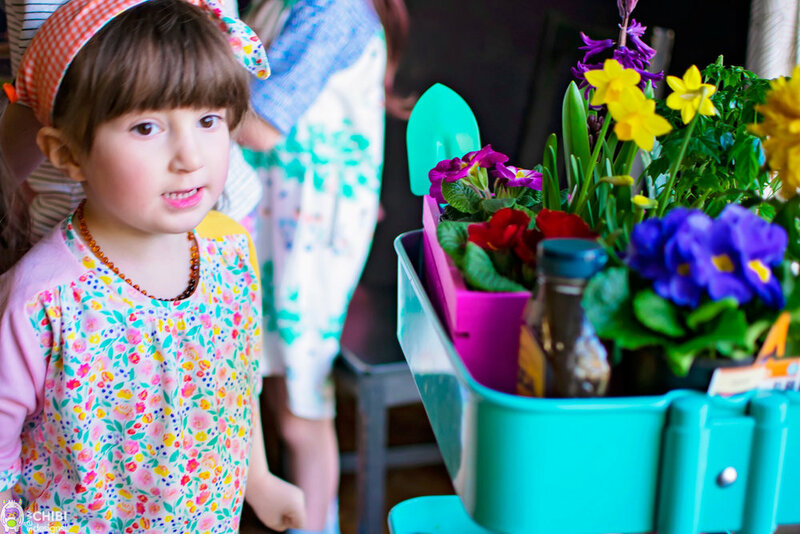 Speaking of spring, I was a part of this really cool pattern collective, Project Farmers’ Market, in which me and 7 other past contestant pattern designers came together to design patterns for the Spring! 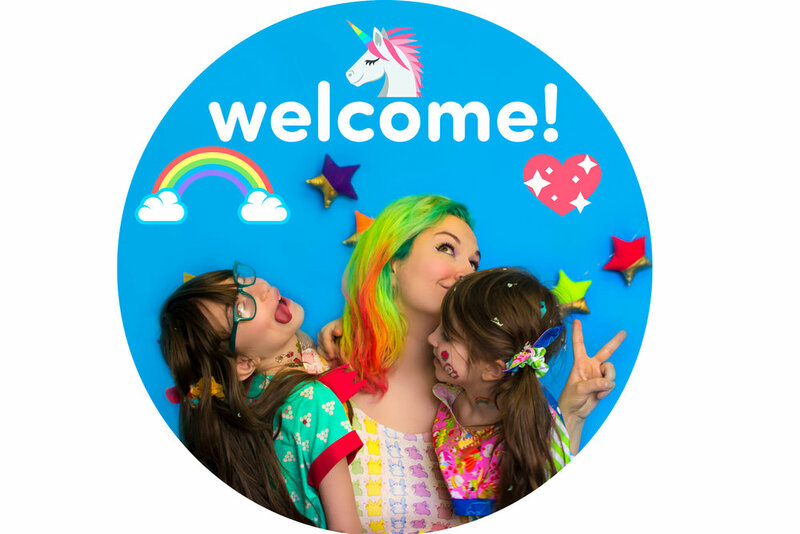 You can learn all you need to know about my pattern, the Ichigo Bomber Jacket (and it’s freebie sidekick: the Mochi Bag) in the separate posts but this particular one is all about the other designers! P.S.) The gorgeous fabrics here were courtesy of Hawthorne Supply Co. 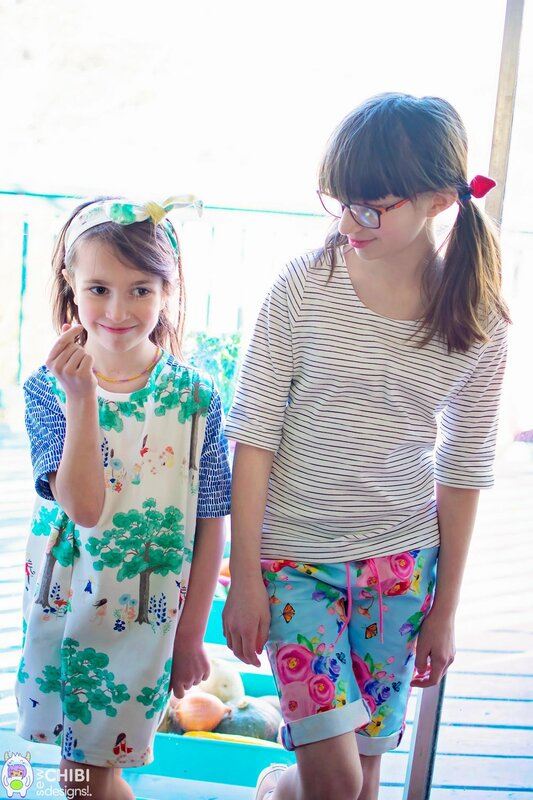 In addition to having an impressive selection of beautiful fabric prints, they also have a really helpful support team. Although I got them for free, my honest opinion of the fabric quality and overall experience is that they rock and I totally recommend them! The Jonagold Jumper by Jenn of a Jennuine Life is such a satisfying project! It has a bunch of different options like various bottom, neckline and pocket options! I knew I wanted to make this one for Akira since she’s sort of a rough and tumble kind of girl but I think she needs more versatile skirt/dress options like this in her wardrobe! I was a little bit rebellious with fabrics in that I used a quilters’ cotton in a cute camper print (reminded me of all the food carts I see at Market) for the main fabric, but I compensated by using a lightweight denim for the lining. Not part of the pattern, I chose to use the denim to line the skirt so it hung properly. I took every extra care to make sure that the pockets matched up perfect with the pattern where they were sewn on so that they are supe incognito. It so cute on her and I love how all of the colors in this match not only Sephira’s Seed Romper but the cactus print on Azriella's Soleil Skirt and their Ichigo Jackets too! For her accessories, I made her a blue geometric beaded necklace and pom pom hair ties which also have tinier pom poms which I sewed on! This won’t be the last Seed Romper you see from me, for sure! The Seed Romper by Suz of Sewpony has a plethora of ways to change it up that it’s basically a collection all on its own! Immediately I knew I wanted to make it for Sephira with the full pants and all the ruffles. The Seed Romper PDF Pattern by Suz of Sewpony for Project Farmers’ Market as sewn by Sew Chibi Designs. Sephira’s fabric is the ultramarine blue plant print in cotton shirting and she legit lived in it for three days after we took these pictures! LOL. The fit is so spot on and I think it looks so cool with the matching Mochi Bag and little hair bow tie! 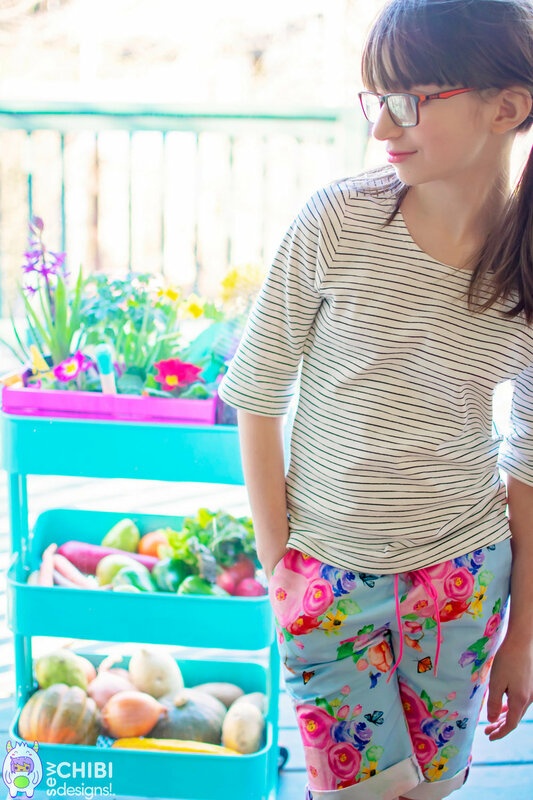 For the Soleil Skirt, we chose this succulent cotton print because she love gardening and admiring all the potted plants at the Farmers’ Market. If you look closely, all of the colors match so well with the other pieces! The Banana Boat Tee I made from the same sweatshirt knit I made Akira’s Ichigo Bomber Jacket for the front and a coral color of the same kind of fabric for the back. I knew that she’s on the slimmer side so I felt fine going with fabrics that weren’t recommended so that it wouldn’t just hang on her. Sweatshirt knit wouldn’t work for everyone, however Azriella is really slim but tall so it works 😉. Since there was so much going on with the prints, I chose to go solid with a twist for her top. For the little details, I used a blue knit for the tabs and a hot pink stretch vinyl for the cuffs! These two pieces ended up working well with the pieces I made from Celina’s patterns which was quite the serendipity! I’d love to say that it was planned but the fact is that it wasn’t! 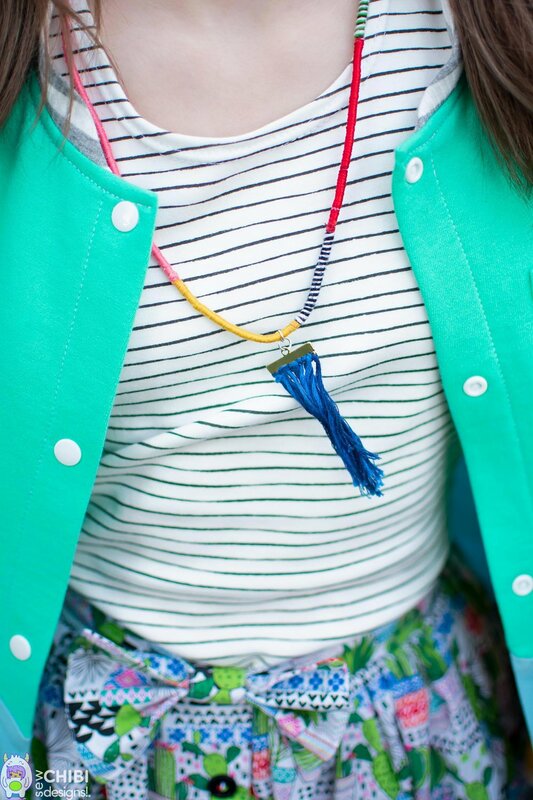 For her accessories I made a wrapped necklace with tassel, and a slouch bag made from Sephira’s Bomber Jacket fabric. When you sew for many years, you tend to get used to the curves and angles of every garment being where you are used to them being. Of course there are a million and one ways to change things up to make it interesting. 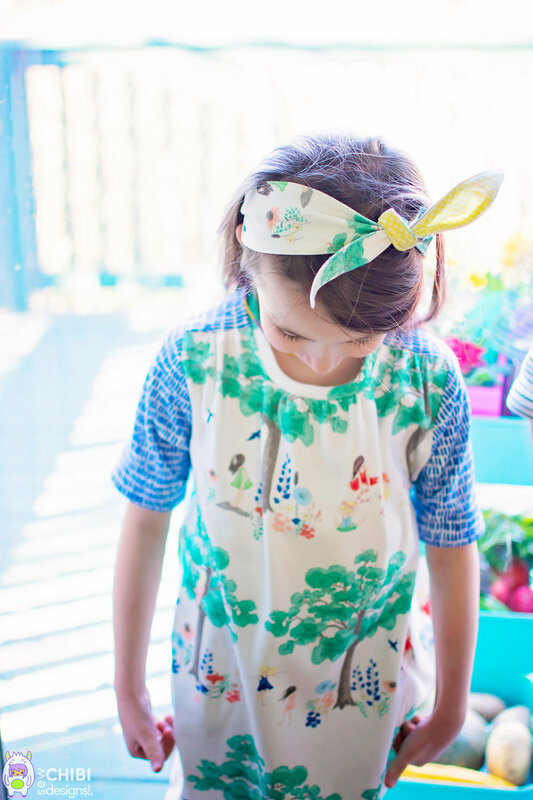 However this pattern, the UpBeet Tee/Dress by Celina of Petit a Petit, was really surprising! The way the pieces go together is so different from any that I’ve ever sewn! There’s various ways to finish the neckline and hems as well! I decided to make a trio of UpBeet Tee/Dresses for the girls for their Wild Roots collection, featuring all of those beautiful, watercolor floral fabrics from Hawthorne Supply Co. My girls are always interested in the fresh cut flowers when we are at the Market, so this mini collection was dedicated to that and to the preparations we do once we get back home with all of our new produce for the week! Akira’s UpBeet Dress in size 5Y features this fabric, with inseam pockets and two toned 3/4 length sleeves! Sephira’s UpBeet Dress in a size 6Y to a 7Y length and features this precious, little girls playing in the park fabric (I like to pretend they’re sisters! ), also with inseam pockets and with 1/2 length sleeves from a coordinating fabric in the same collection! For Azriella’s UpBeet Tee, I had to do a blend between the size 8Y width to a custom length which about a 10Y. I found this hand drawn stripe fabric which fit perfectly with this whole “flowers and stripes” look I was going for her. I opted to nix all cuffs and instead did just hems, with the 1/2 length sleeves. For their accessories, I used Suz’s freebie: the Seed Head Scarf Pattern and then I made Azriella a pair of matching ponytail bows for her hair. I made her patch pockets and Hong Kong seams in a purple gingham I’d been hoarding for years! Her accessory was a matching mochi bag in the same fabric and is just the perfect end to the perfect outfit for her! We both love this outfit so much! So that wraps up my trio of posts about the Designer Capsule: Project Farmers’ Market! I hope that you’re inspired to make all the things and share them with us all! It’s been such an incredible honor to be a part of this pattern collective with all of the other massively talented designers! There are gorgeous patterns by Delia and Bernadette and Audrey that I will certainly be making in the near future as well! Thank you again for following along! Happy Spring, Everyone!!! Click on the image below to learn all about the Ichigo Bomber Jacket PDF Pattern! Newer PostFREE PATTERN: the Mochi Bag + a BONUS FREEBIE! Older PostHappy Holiday Pattern Tour for Project Run & Play!